We “Shree Raj Enterprise” have gained success in the market by manufacturing a remarkable gamut of Brass Bottle, Door Handles, Fiber Knobs, Marble Door Handles, Mortise Handles, Cabinet Handles, etc. We are a well-known and reliable company that is incorporated in the year 2001 at Jamnagar (Gujarat, India). Our offered products are manufactured in compliance with the pre-defined industry norms and tested to ensure their flawlessness. "We are very happy with the quality of the products we have got from shree raj enterprise. They are very professional and keep to their commitments." 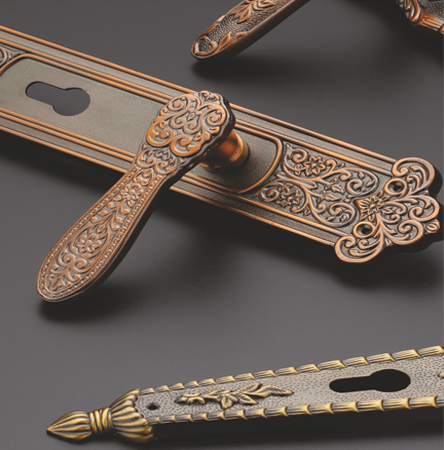 "I have now purchased 10,000 plus Handle of brass, and it has all been wonderful! The customer service is very outstanding! The communication is the best I have had with any company out there." "Have always outstanding products from SRE. Secure ordering, fast shipping and customer service that is truly beyond belief! My “go to” source for quality brass products." We “Shree Raj Enterprise” have gained success in the market by manufacturing a remarkable gamut of Brass Bottle, Door Handles, Fiber Knobs, Marble Door Handles, Mortise Handles, Cabinet Handles, etc. G.I.D.C. PHASE - 2, SHED NO : 468 & 339, DARED, JAMNAGAR - 361004(GUJARAT)INDIA. © 2019 SHREE RAJ ENTERPRISE. All Right Reserved.